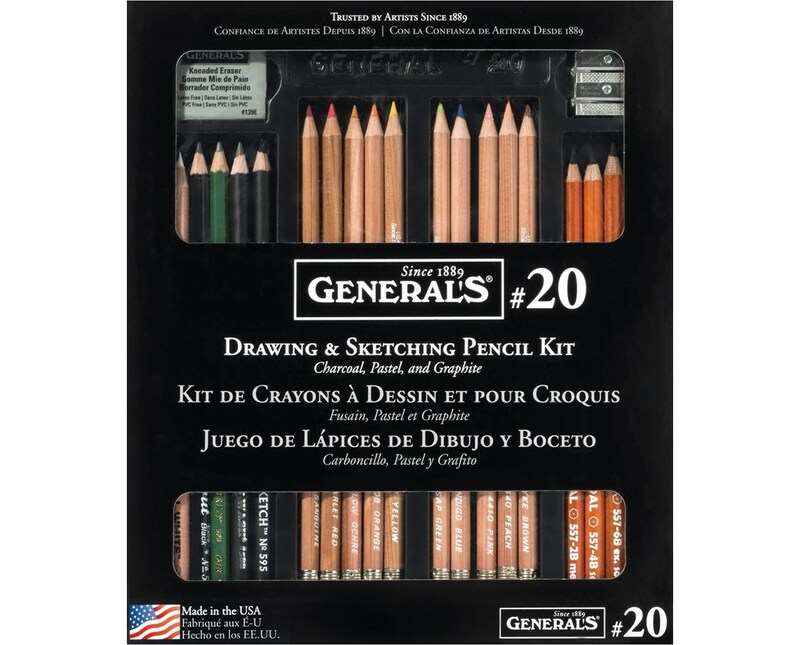 The General’s Classic Sketching & Drawing Kit is a functional and versatile drawing set for all beginners and students. It is equipped with basic drawing tools that are made of high-quality materials and tested formulations. It includes a Kimberly graphite pencil, four charcoal pencils in different degrees (2B, 4B, 6B, and HB), and a charcoal white pencil. For outlining and sketching, this drawing kit comes with extra-black Layout pencil, flat sketching pencil, and a Carbon Sketch pencil. 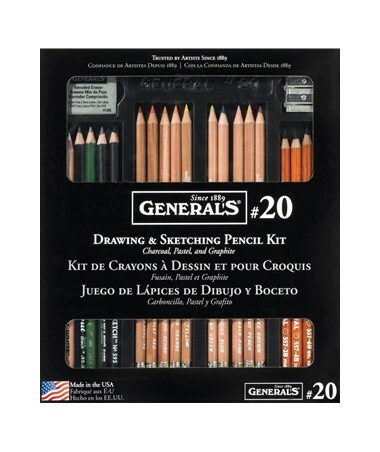 It also offers ten blend-able and oil-free MultiPastel pastel chalk pencils of varying colors to accommodate a wide variety of drawing techniques. With a kneaded eraser and an artist sharpener, it is a complete package. The General’s Classic Sketching & Drawing Kit is PMA (Pencil Makers Association) approved and conforms with ASTM-D4236 to ensure safe use. All pencils are made of sustained-yield incense cedar wood for guaranteed strength and smooth sharpening.